It’s been nearly 100 years since Karl Marx’s ideas triggered the world’s first communist revolution in Russia on March 8, 1917. 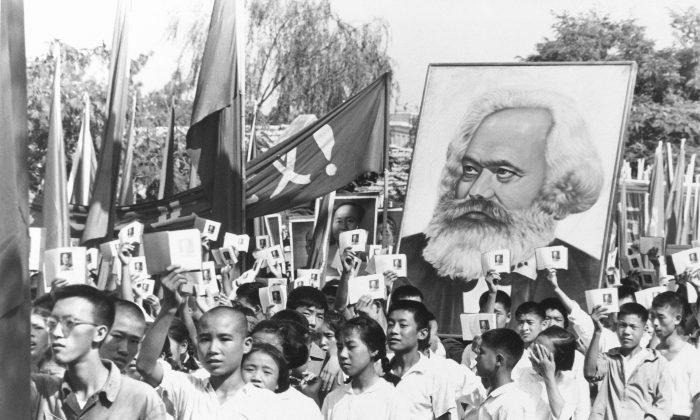 Every so often, there seems to be a renewed interest in Marx’s ideas here in the West. In a recent example, protesters could be seen displaying communist hammer-and-sickle flags at demonstrations and marches opposing newly-elected President Donald Trump’s victory and inauguration. But some of Marx’s viewpoints may not have been all that progressive or in keeping with modern values on tolerance. In some of his writings, the architect of communism has expressed overtly racist ideologies, even going so far as using the “n-word” and slandering the Jewish faith. Yes, you read that correctly: The founder of communism, whose ideas swept across the world many decades after his death, had ideas that many ideologues with views left of center nowadays would find reprehensible. One might argue that Marx’s ideals are merely an outdated product of the mid-19th century. “What is the worldly religion of the Jew? Huckstering. What is his worldly God? Money . … Money is the jealous god of Israel, in face of which no other god may exist,” Marx wrote in the book—which critics have later described as virulently anti-Semitic. And even further, he explains: “In the final analysis, the emancipation of the Jews is the emancipation of mankind from Judaism,” which, according to some critics, suggests he’s arguing that man can only be free when Jews “no longer exist,” according to The Philosophers’ Magazine. In 1856, Marx took it a step further when he penned an article, “The Russian Loan” for the New York Daily Tribune. Marx opined: “Thus we find every tyrant backed by a Jew, as is every pope by a Jesuit. In truth, the cravings of oppressors would be hopeless, and the practicability of war out of the question, if there were not an army of Jesuits to smother thought and a handful of Jews to ransack pockets. “The real work is done by the Jews, and can only be done by them, as they monopolize the machinery of the loanmongering mysteries by concentrating their energies upon the barter trade in securities,” he added. Many would argue that Marx’s 19th-century views on race are outdated. Maybe the same could be said about his collectivist grandstanding. Communism is estimated to have killed at least 100 million people, yet its crimes have not been fully compiled and its ideology still persists. Epoch Times seeks to expose the history and beliefs of this movement, which has been a source of tyranny and destruction since it emerged.